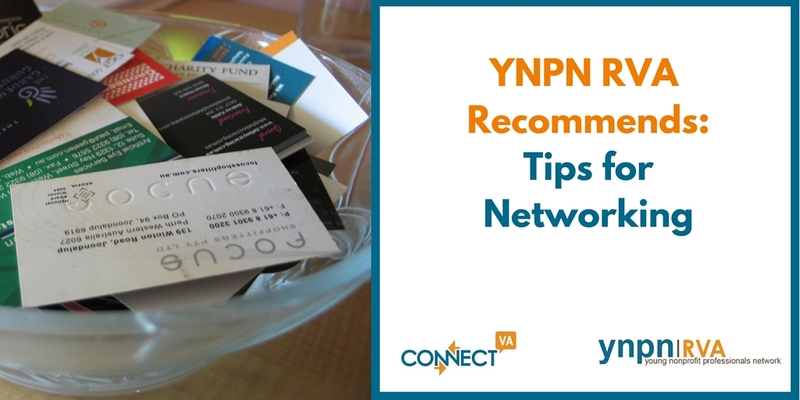 The Young Nonprofits Professional Network RVA (YNPN RVA) believes that a great boss or supervisor supports, inspires and pushes others towards excellence; is an effective communicator, passionate, intuitive and resourceful; and finally, is truly committed to developing the careers of the people they supervise. 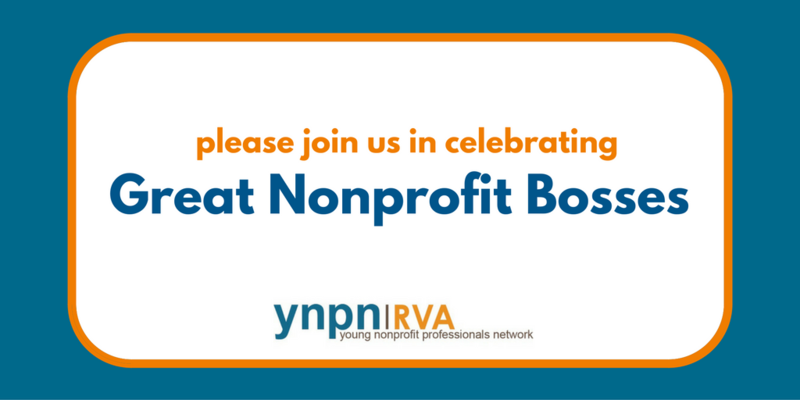 Over the past several weeks, YNPN RVA sent out a call to young nonprofit professionals all over Greater Richmond to nominate their boss to be recognized as a part of our “Great Nonprofit Bosses” Initiative. 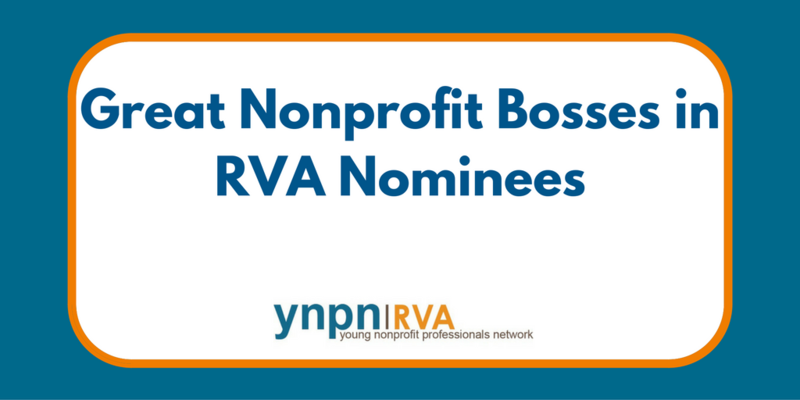 In total, 37 bosses were nominated by 57 different young nonprofit professionals; from that group, a YNPN RVA panel selected the top 9 outstanding and compelling nominations (top 9 denoted in orange). Below are all of the nonprofit bosses who were nominated, along with an excerpt from the accolades they received from the person they supervise! We want to thank all who sent in nominations for their supervisor, and we especially want to thank the leaders in our community who are pivotal in making our local sector thrive! My vote goes to Honesty Liller @ the McShin foundation. She’s a great person and friend!